The first time I tried Buddhist meditation, I immediately felt my trachea shrink. Only a tiny, insufficient bit of air could move in or out. To learn Buddhist meditation, I had listened to a podcast. It said to notice and accept without judgement whatever happened. So, that is what I did. I noticed and accepted that my attempt to meditate had the effect of breathing powdered cement. Being the diligent sort, I tried meditating again the next day. Again I got to notice and accept without judgement the sensation of being strangled. And again the third day. At the time, I was fresh out of medical school. My new situation allowed some scary thoughts to arise, such as, “you probably just killed Mrs. Smith by increasing her insulin.” Buddhist meditation allowed me to gain distance from these thoughts, and the added distance improved my equanimity. Even after the disturbing, rookie doctor thoughts stopped coming around, I found Buddhist meditation helpful for my overall equanimity, so I continued it. As happens with many Stoics, my Stoic practice developed spontaneously as a response to difficulties in my life. I was orphaned when I was seven, causing the life I had known to evaporate. In order to survive this loss, using my own intuition I developed some potent Stoic techniques for tolerating difficult situations. Unfortunately, I did not develop any techniques for avoiding difficult situations. Thus my personal brand of Stoicism carried me straight from suboptimal foster care right into a bad marriage. A couple of decades and several life changes later, my boyfriend introduced me to Stoic philosophy. I was shocked to discover how much of my self-developed philosophy of living and coping techniques those ancient Greeks had known about all along. Thus, well into middle age, I started the formal practice of Stoic philosophy. Those ancient Greeks had a trick or two to teach me. My life got even better with their help. At this point, I rely on my Stoic techniques when things start to go wrong inside my head. Earlier this week, a dying patient was reviewing his life with me. He told me about how much he valued the teamwork he and his wife shared to raise their children. It is a beautiful story and my eyes start to fill with tears. No problem so far. I am not expected to be without feelings, but if my feelings take control of my thinking, I cannot focus enough to be a good doctor. As I listen to my patient talk about how raising their children deepened his relationship with his wife, I realize the one thing I wanted most out of life was to raise my kids well. I married and had children with a man who always had his way and whose method of childrearing I disagreed with. I could not figure out how to challenge his child rearing ideas or how to divorce him for twenty five years. Now I am too old to have more children, and will never get to have the experience of raising a child with a partner. I didn’t get a father; I only got a mother for seven years. Life couldn’t even deliver me a decent husband. I don’t ask for much. My eyes are dripping tears now and I realize that I am not paying any attention to my patient. I have a sense that I am shoving my foot in a slamming door. If I can keep the door from closing, I can maintain control of myself, and my equanimity will be only briefly disturbed. It feels as though the force of emotion that wells up must be countered with something forceful. If what I bring to bear on it is not forceful, it will fail. Once the tears start forming, my Buddhist practice has nothing to offer me. Once I have started to lose my equanimity, my emotions flood me if I attempt to use Buddhist techniques. I have found that only Stoic techniques overcome the waves of emotion. Buddhist techniques feel more general and unfocussed. What my Buddhist meditation practice does offer me is a decrease in my overall reactivity. When I am meditating regularly, I am less apt to be bothered by the unavoidable emotional events of life. This pattern has repeated itself a dozen or more times. I fall away from my meditation practice. I become more easily riled. I recognize this and resume meditating. Things improve until I fall away from my meditation practice again. I asked people on the Facebook Stoicism Group about their experiences, and learned this is typical. The only consensus was that Stoic mindfulness practices are useful for the immediately present threat to equanimity, and Buddhist mindfulness practices help strengthen equanimity overall. It is not surprising to me that Buddhist meditation works well for us on a daily basis because it has been honed over thousands of years by hundreds of thousands of people. What is surprising to me is that it does not always work well for me and my Facebook friends. It surprises me that our Buddhist practice fails us in the pinch. Why does Buddhism not include techniques like “Amor Fati” or negative visualization? Are these incompatible with the Buddhist philosophy? I do not know enough about Buddhism to answer that. It seems to me that if there were a significant fraction of people whose needs were not being met by Buddhism, and that there were non-Buddhist techniques that met their needs, then Buddhism would have figured out how to respond to them. Either these techniques would have been incorporated into Buddhism or variant forms of Buddhism would have developed that were compatible with these techniques. I think it is more likely that the Buddhist techniques worked well enough for most people in the society in which Buddhism developed. When I receive a disturbing impression and begin to formulate my response to it, Buddhism would say that I need to distance myself from that nascent thought and to examine it scientifically as I would someone else’s emotion. So far, this is very similar to the Stoic teachings on disturbing impressions as I understand them. Buddhism recommends that I next lean into the unpleasant emotion, to really examine it, get to know it and to realize that it will pass soon. This technique results in me wallowing in my emotion as I wait for it to pass. I become so attracted to it that I will grasp it firmly and become unable to function. Perhaps if I practiced this technique for decades, it would work, but the dying patient in front of me does not have decades while I grapple with my inner demons. Stoicism offers me techniques that I can use right in the moment. Instead of leaning in, I counter the emotion with a maxim that I have prepared and have at the ready for whenever disturbing emotions arise. The part of my mind that is not wrapped up in my personal tragedy can recite Stoic maxims forcefully to counter the attraction of “I didn’t get and I want.” Stoicism gets between my mind and the idea it is about to grip onto and stays my grasp before it happens. For me, for the most disturbing impressions, this is what works. There is an idea in neurology of over-learning. Things which one repeats thousands of times during one’s lifetime such as the ABC’s or the response to “how are you today?” are over-learned. When a person is demented and has lost the ability to think in any meaningful fashion, they can often still recite the ABC’s or other over-learned phrases. It seems to me that when I am caught by my deep feelings of deprivation and grief that I am like a demented person and can only say over-learned things. The little bit of my brain that is not sucked into the black hole of “I lack” can barely squeak out “It seemed so to you at the time.” If it can however, it breaks the spell and the attractiveness of the disturbing impression is diminished. Another common observation is that Western culture has more emphasis on independence and individuality. It seems likely that this emphasis develops minds that are more likely to work with individually oriented techniques. Stoicism emphasizing my personal inner citadel rather than Buddhism emphasizing dissolution of myself feels more comfortable to me. When I am most in pain, standing steadfast against an ocean crashing against the seawall of my personal virtue makes me feel less pain whereas the paradoxical teachings of Buddhism simply frustrate me. I find that Buddhist techniques on an ongoing basis combined with Stoic ones on an as needed basis work best for me to maximize my equanimity. I do not have a good explanation for why. I am more at peace, at rest and am flourishing more than ever before in my life. This reminds me of another Stoic technique that I practice. It has a Buddhist analog: I am grateful. Mary Braun, MD is a board certified hospice and palliative care physician. In her work she helps people make decisions about their medical treatment, helping them elucidate their values, preferences, and goals given the constraints of their medical situation and their limited time to live. Mary began practicing an intuitive form of Stoicism as a child. She discovered Stoic philosophy in middle age. She finds Stoicism essential, not only for her personal life, but also to avoid having patients, their loved ones, and herself becoming overwhelmed by the difficulties of taking care of the sickest and most fragile patients in the medical system. Hey, everyone! Thank you so much for your kind attention and comments. I did not know there were comments here until today when Greg clued me in. Please do not view my slowness as a lack of appreciation or happiness at your responses. Seneca would say that happiness is not an appropriate response for a preferred indifferent but there you have it. I enjoyed this post, and found it well-written and thought-provoking. Similarly to commenters Douglass Smith and Ravi Pradhan, I would like to note that (while no expert myself), the emphasis on meditation seems to be somewhat distorting of what I understand to be Buddhist teachings. Meditation, on the other hand, is mostly a province of Westernized Buddhists (and European-influenced Buddhism was what 60s and 70s counter culture seekers encountered and brought back to the USA and Western Europe – most “Eastern Buddhists” don’t and never did meditate; such discipline was usually reserved for monks, and even then, it varied widely in practice by geography and theology, etc). Thank you. You are right that this is not a comprehensive examination of Buddhism versus Stoicism. I’m not an intellectual at all and could never hope to write such a thing. What I am, however, is an expert in my experience and that is what I wanted to tell people about. I have noticed that many aspects of my experience appear to be idiosyncratic, but many seem to be more universal and I thought I might be able to spare someone else some of the emotional flopping around I did with this article. I’m pretty sure there are negative Buddhist meditations – based particularly on the Buddha’s own journey from illusion to enlightenment, when he goes outside of the palace for the first time and sees poverty, hunger and a dead body. I think I’ve read meditation techniques based on those, quite grisly meditations. 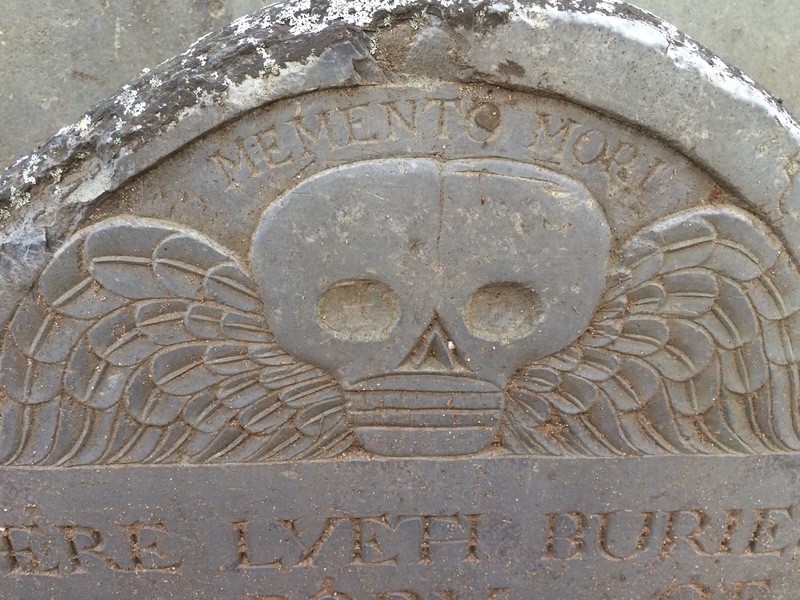 Very reminiscent of the memento mori tradition in art – remember you will die. TheDude, yes, there are Buddhist cemetery meditations. They are interesting. One is supposed to meditate on corpses in a number of different states of decay: with sinews and blood, without sinews but with blood, etc. There are those who say philosophy is but preparation for dying. One thing to note is that Buddhist meditation practices largely evolved within the monastic tradition, rather than common lay practice. This might help explain why it seems to you to be more focused on long term self-knowledge and self-improvement over immediate benefits. The structure of monastic life makes it safer for them to explore and contemplate their feelings and reactions, rather than trying to contain them right away. Thank you so much for this wonderful piece. By the time I read the closing line I felt motivated and inspired by your capacity for self-transcendence. I shall not forget the courage you must have needed to cope with such adversity in your childhood. I wish you continued wellness in your pursuit of Stoicism and Buddhist Mindfulness. Thank you. One of the ancient Stoics available to us, probably Marcus Aurelius but I cannot recall for sure, recommends thinking about the characteristics one admires in people, both living and dead, and calling them up for teaching when we need help. I find this one of the most helpful Stoic techniques. I often think about “what would X say if she had to respond to this even that just happened to you?” where X could be an old co-worker, a friend’s spouse, a blogger or an ancient. I would be honored to be helpful to you, Ali. A Great article! It’s certanly a worthfull idea to combine stoic methods with buddhists methods. I’m very glad you share your insights with us which shows a deep understanding of both philosophies. For an excellent overview of the original context of mindfulness in the Pāli canon I would highly recommend Anālayo’s book *Satipatthana*. It was the source for Joseph Goldstein’s recent (more readable but less scholarly) *Mindfulness*. What Buddhist traditions is the author referring to? seems to be a common pattern in the West -where folks cannot distinguish the different traditions and their views and practices. And, JKZ is not make such distinctions himself. Mahayana Budhism is different from Theraveda from which mindfulness is derived. I learned to meditate in the Vipassana tradition. I didn’t particularly choose it. It was what was available to me. I do not have a huge experience with Buddhism. I think I make this clear in my article; I’m just an average chick with my particular experience set trying to get by. I’ve attended events in several different traditions over the years and see some differences and more similarities. It is odd that I have not read JKZ given that I’m a physician. I’ve heard him speak. Mary, thank you for that, but mindfulness in Buddhism is only one of the eight parts of the eightfold path. There are many techniques that fall under “right effort” that are discussed in the suttas for dealing with troublesome or unskillful thoughts. Although one should apply mindfulness when dealing with unskillful thoughts (it is best through nonjudgmental awareness that we realize we are acting unskillfully), simple application of nonjudgmental awareness is not often itself alone sufficient to overcome such thoughts, as you yourself noticed. Thus for example we use metta or so-called ‘loving kindnesses’ meditation as one method of dealing with hateful thoughts. Also, mindfulness itself as discussed in the Satipatthana sutta is in fact a large suite of practices all of which involve nonjudgmental awareness to some degree but that are not themselves simply constituted by nonjudgmental awareness. E.g., practices that involve awareness of the constitutive parts of the body, of death and decay, or charnel ground meditations fall under mindfulness practices but are not simply practices of nonjudgmental awareness. The problem here I think is that too often Buddhist meditation is thinned down in ordinary teachings of it in the west, so potential students of it are simply not cognizant of its depth and complexity. This reply is helpful; mindfulness is one component to the eightfold path, but right effort, i.e. preventing and abandoning unwholesome thoughts while arousing and maintaining wholesome thoughts speaks more to “managing thoughts” rather than just being nonjudgmental and practicing acceptance. I’ve read about a stoic term ‘prosoche’ which relates to maintaining a state of awareness and concentration in order to not lose focus and get sidetracked by thoughts on the past and the future…i.e. what you can’t control. It seems to me that both stoicism and Buddhism cover acceptance as well as dealing with unskilled thoughts. Am I on the right track? Yes, you are exactly right Derek. Both the acceptance and the effort to change are necessary. In a sense they are two sides of the same coin. In order to truly change one needs open, nonjudgmental awareness of the way things are right now, without sugarcoating or depressive ruminations. One needs to see mind states and actions as unskillful. That awareness will then naturally lead one to investigate efforts towards making the necessary changes. Again, the texts are full of techniques one can use when one becomes aware that change is necessary. There is another issue that involves one becoming too ‘wound up’ in making changes, too personally invested. One technique to overcome such mind states is to relax into nonjudgmental awareness again, and to make oneself aware of the interrelatedness of all phenomena. One is never an unmoved mover. Hence one should not approach the task of right effort with egoistic thoughts in mind. Douglass, thank you. You are right; this was a very limited article just about mindfulness and my experience with the various techniques of mindfullness. I do metta with my patients a lot and find it tremendously helpful, both for me and them and, surprisingly, the other practitioners involved with the patient. This has resulted in the occasional practitioner asking me to teach it to them which is a scary thought. I don’t have hateful thoughts about my patients but find it helpful as something to do when they are trying to gain control of their own emotions. Often they will be displacing some of their feelings of anger and fear about dying onto me because I’ve pointed out to them that they are not getting better or maybe they’re just mad at me because I told them that and who knows? perhaps it was inappropriate. I’ve tried it with some of the difficult people in my life and find it helpful too. Oddly enough, none of them has requested instruction. Well done! That is a very useful examination of both philosophies based in experience that is very relatable. You have just given me a couple of new tools for my toolbox. Many thanks! “It seemed so to you at the time.” – Where does this Stoic maxim come from? I can’t find another reference to it. Strictly speaking, I made it up, but Epictetus talks about “When any person harms you, or speaks badly of you, remember that he acts or speaks from a supposition of its being his duty…It seemed so to him.” I think it is fair to extend that same level of compassion to myself when I see that I have harmed myself by my previous actions as Epictetus would have me extend to someone else who harmed me. Previous Previous post: International Stoic Week – Call For Events!